Elastic Cloud Compute has proven to be a flagship service provided by Amazon Web Service where one could allocate and use powerful computing resources (EC2 Instances) with ease. Using EC2, one can perform complex operations like allocating virtual resources for development, testing, production with few clicks. 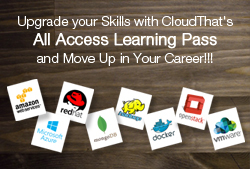 CompTIA has launched certification exams for cloud computing called CompTIA Cloud Essentials exam (CLO-001). I recently appeared for the exam and I cleared it. CompTIA exam is very valuable to anybody trying to assess their understanding of what cloud computing is all about. One of the common thoughts in the minds of the new MBA is – how will my typical work day span out ? What will I be doing for 8 hours a day , 40 hours a week if I were to make a career in Analytics? Cloud computing has arrived and it is time now to welcome the change with open arms before the phenomenon starts looming like a dark cloud waiting to break into a storm over the unprepared. What is Analytics? What does a Data Analyst do? A large number of students / young professionals ask this to me. Especially when they see the articles from Mckinsey stating Analytics is the next big thing in business and that there is a substantial shortage of manpower. I have received many a request to launch a course for AWS certification. Today I am excited to announce that we have launched a course “AWS Certification Bootcamp – Level 3“. We are hiring for a Lead Manager position. More information about it can be found at the link below. If you or someone that you know is interested in this job, please apply here.